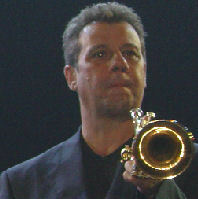 Bob was born in Connecticut , USA and began playing trumpet at the age of six. Before graduating from high school, he had already toured Europe with soloist Clark Terry and was studying regularly in New York. At 18 he was invited to play lead trumpet for Ray Charles with whom he toured worldwide for four years and recorded six albums , then three years with the Buddy Rich Big Band and also worked with Stan Kenton's last band. He has lived in Europe and toured and recorded with the best there is. Relocating to Europe in 1980 Bob played lead there for jazz radio productions and tours with artists Mel Lewis, Bob Brookmeyer, Dizzie Gillespie, Bill Holman and Al Cohn. Bob's versatility led to teaching engagements, recording film and television work and backing artists such as Frank Sinatra, Mel Torme, Caterina Valente, Jose Feliciano and Smokey Robinson. He has been a member of Tower of Power and the James Last and Peter Herbolzheimer bands. After making Sydney his base in 1988, Bob formed his own band, Superforce, featuring artists Louie Bellson, Joe Williams and Buddy de Franco. He has also performed and recorded with Anthony Warlow, Olivia Newton-John, INXS, Grace Knight and Kate Ceberano. He freelances in Sydney and returns regularly to the USA and Europe for concert tours and television appearances.